How can I cancel my Pipefy account? We're very sorry to hear you no longer wish to continue with Pipefy. In order to cancel your subscription you need to be a company admin. Click on your profile picture in the upper right corner of the screen, then on 'company settings'. 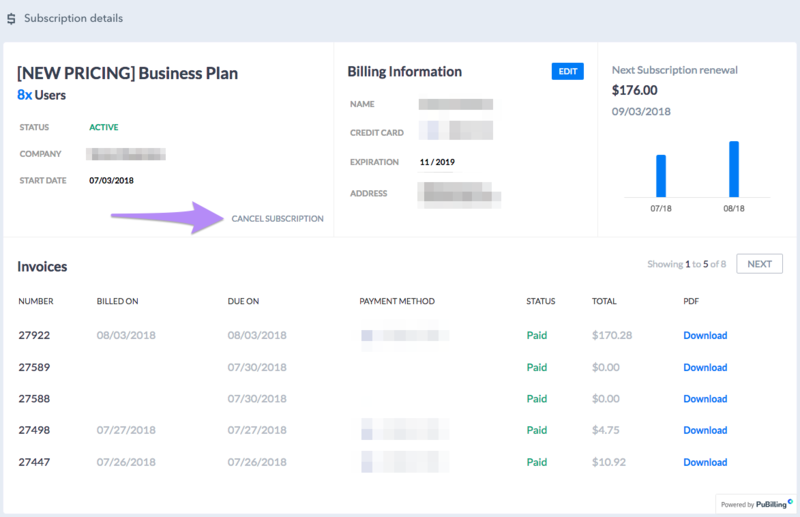 Once inside your company settings, click on billing in the upper left corner, then on 'cancel subscription'. You'll be redirected to the experience survey, once you're done answering the questions, hit send and our team will reach out to confirm your cancellation. Attention! If you decide to cancel your subscription before the renewal date of your billing period, we won't give refunds. Check out our pricing policy for more information.